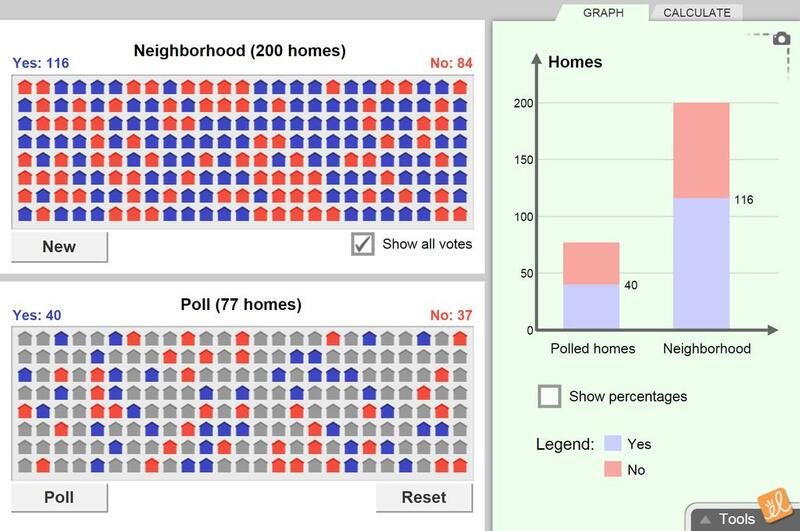 Conduct a phone poll of citizens in a small neighborhood to determine their response to a yes-or-no question. Use the results to estimate the sentiment of the entire population. Investigate how the error of this estimate becomes smaller as more people are polled. Compare random versus non-random sampling. This is to check and see if the students understood the lesson. You can use it as an exit ticket. This is for whole class instruction. The students will fill this in as you use the Gizmo and deliver the... (more) lesson.